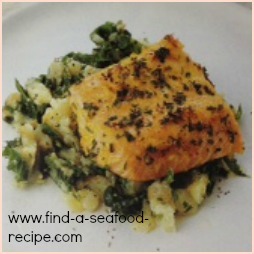 This baked fish in foil recipe uses cod, but you could use any fish you prefer. Basa, mahi mahi and tilapia are becoming more and more popular as the stocks of the more common fish are depleted by over-fishing. We're travelling more as well and becoming adventurous in our tastes, so whilst you could use plain old cod, have a chat with your fishmonger and see what's on offer. I like to cook my fish in foil parcels. I find that it cuts down considerably on the smell. 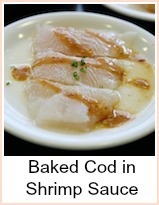 I love fish, but I really don't like the smell that lingers in the house afterwards. I have also noticed that as long as you put your cooking pan into soak as soon as you've served up, wash up immediately you've finished eating and then clean the sink - you don't get smells. You can use roasting bags as well as foil - there will be room for more than one portion this way. You can substitute apple or grape juice if you don't want alcohol, but the alcohol cooks off in the heat, leaving only the taste. This would be lovely served over a bed of crushed new potatoes and some buttered green beans or carrots. 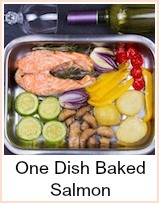 Right then - on with my baked fish in foil recipe. Heat your oven to gas mark 6, 400F or 200C. Take four pieces of foil and brush with oil. Lay a cod steak on each piece and divide the chopped spring onions and sliced garlic evenly between them. Over each steak, sprinkle 1 tbspn white wine or cider, a good pinch of dried dill, a twist of black pepper and a knob of butter. Seal the parcels tightly and put them onto a baking tray. Allow the diners to open the parcels themselves - this way they enjoy the full blast of the lovely aroma from the wine and garlic. Serve with buttered potatoes, beans, carrots or cauliflower or whatever is in season. 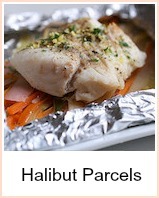 If you would like another recipe, then try the Halibut in Foil Parcels - click here and a new window will open. Very simple baked fish in foil. 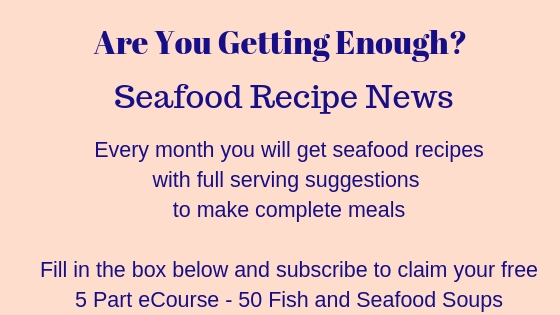 This recipe uses cod, but you could use any fish fillets you like. The aroma as you open the parcels is divine!